This is for an Easyfix double glazing/secondary glazing kit. It is to be used for fixing 4mm plastic or 4mm glass over a window for heat and sound insulation. It can be used both internally and externally. 5M of flexible edging strip in Brown and for 4mm glazing thickness. 24 brown nylon fixing clips with wood screws. 1 Mitre Gauge (to cut the corners). Easyfix can be used to fit your secondary glazing panel to either the opening window light to allow ventilation and use of the windows or to the main frame for maximum insulation and draught proofing. Where possible allow the secondary glass to overlap the frame by 10mm on each edge. It is important that there is a flat surface all the way round to ensure a good fit. 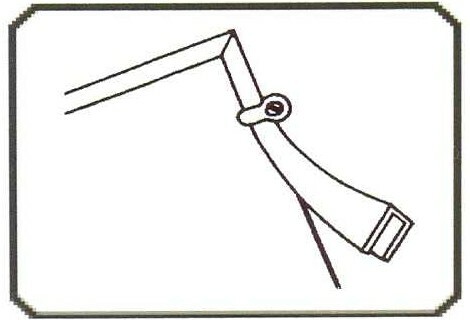 Please ensure that all window furniture e.g. handles, stays, etc. fit within the recess. Please remember to allow enough space around the outside of the secondary glazing panels for the clips (10mm).The clips are 9.5mm wide at the base, and high enough to enclose the thicknesses of glazing sheet that describe them including the clipglaze edging strip. 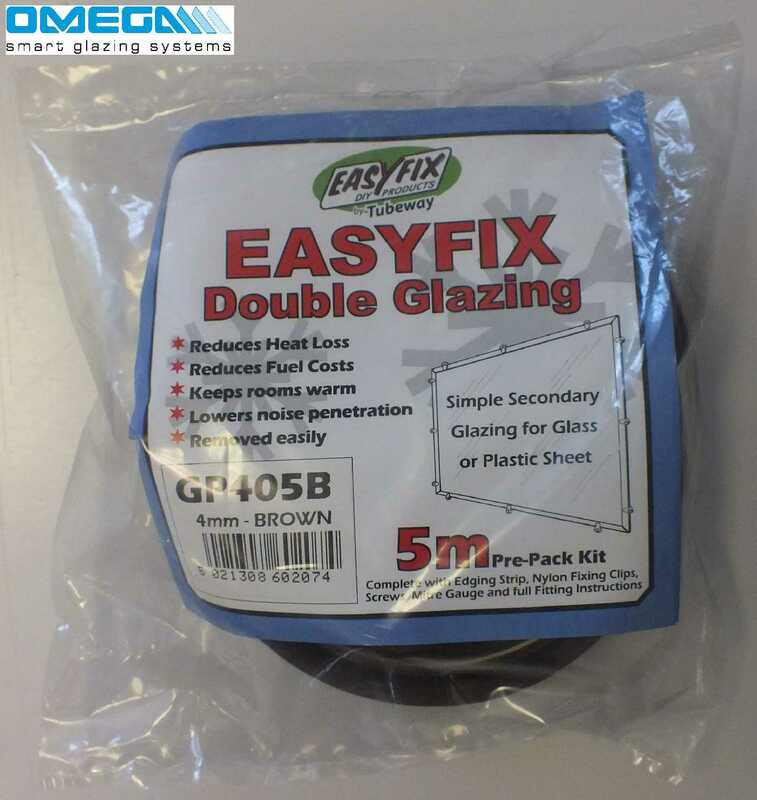 I would recommend your affordable products (Secondary Glazing Fittings | Easyfix Edging | Easyfix Clipglaze Edging Kit - 5m roll of edging for 4mm Glazing Thickness, Brown) to anyone else considering this product, as it has been superb. Omega Build Shop | Secondary Glazing Fittings | Easyfix Edging | Easyfix Clipglaze Edging Kit - 5m roll of edging for 4mm Glazing Thickness, Brown. You are viewing Secondary Glazing Fittings | Easyfix Edging | Easyfix Clipglaze Edging Kit - 5m roll of edging for 4mm Glazing Thickness, Brown, buy online today!